Early December was a momentous time for PNY. 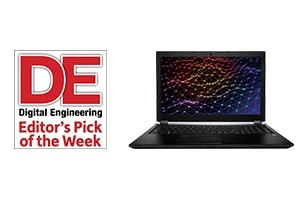 During the same week our PREVAILPRO series of ultra-thin and light Quadro powered mobile workstations started to ship to customers, it was selected for DE Editor’s coveted Pick of the Week. See why DE‘s Editor at Large, Anthony J. Lockwood, selected PNY’s PREVAILPRO mobile workstations as his Pick of the Week.